If you get a papercut, bang up your knee or cut your fingernail a little too short, it's probably a less than glamorous experience. Injuries aren't ideal, and they certainly aren't stylish, but what if healing them can be? Sure, Miley made a couture bandage, but can the average person pull it off? 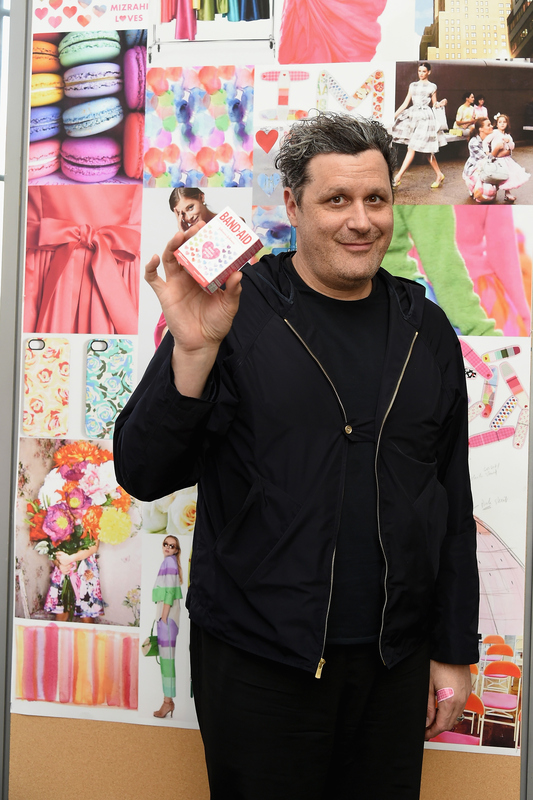 Well, now's your chance to get a little luxe with your healing process, because there's a new Band-Aid and Isaac Mizrahi are now in cahoots. Yes, the same Band-Aid that you've used on your boo-boos since you were just a kid are now designer. Mizrahi isn't the first designer to pair up with the bandage brand: Cynthia Rowley band-aids were a fashion-forward thing of the past, and Mizrahi followed in her footsteps, designing some bandages inspired by his designs, both past and present. There are 14 designs, ranging from decorative typefaces, polka-dotted hearts, watercolor simplicity and cool-toned camoflauge. The color schemes are overall muted, and each pattern is reminiscent of delicate watercolors. The bandages are lined in a pale pink border, adding a youtful but signature touch to the bandages. Next time you're at Walgreens, CVS or Walmart just trying to stock up on the basics, know that you can grab a pair of designer band-aids for just about $3. They're probably the cheapest 14 pieces from Isaac Mizrahi you'll ever own. If Chanel took the bandage world by storm, I'm sure it would be because of their luxe quilted leather design. Pillow-soft for preventing any additional injuries. Bright and busy florals would bring a happy vibe to a previously sad situation. Who could cry over a skinned knee if they had this adorable Liberty London bandage? Louis Vuitton's monogram is probably the most recognizeable designer print. For that alone, I'm sure these suckers would fly off the shelves. Balmain is rapidly gaining popularity. Whether it's for the designs or owed to the many name drops that the brand gets in music, its signature zippers appear to zip up any tears in skin. *Zip* All better! A Lilly Pulitzer bandage collection is the remedy for the WASP-y mom or to filling empty sorority house first-aid kits everywhere. You might even be able to get a pattern that coordinates with your planner. A wardrobe staple that I WILL get my hands on one day (that day is not soon, my student loans tell me) is an Alexander McQueen skull-printed scarf. So spooky chic, why not make it into a bandage just in time for Halloween? If your solution to a bad hair day and a simple pair of flats is to throw a bow on it, Kate Spade would surely be the designer to create the perfect bandage for you. Just got a flu shot? Throw a bow on it and everything will be okay.